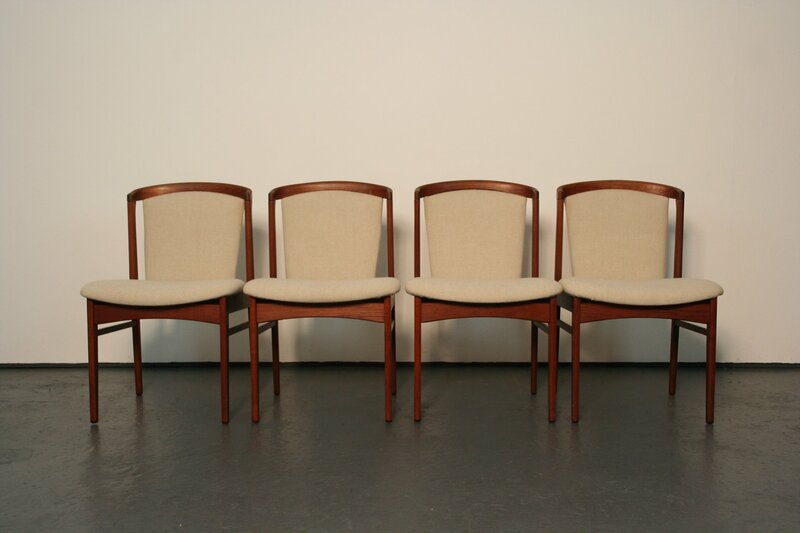 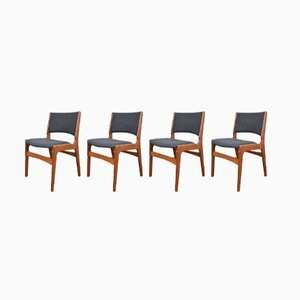 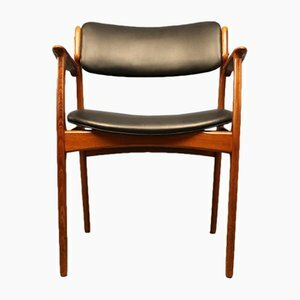 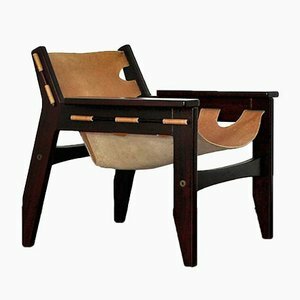 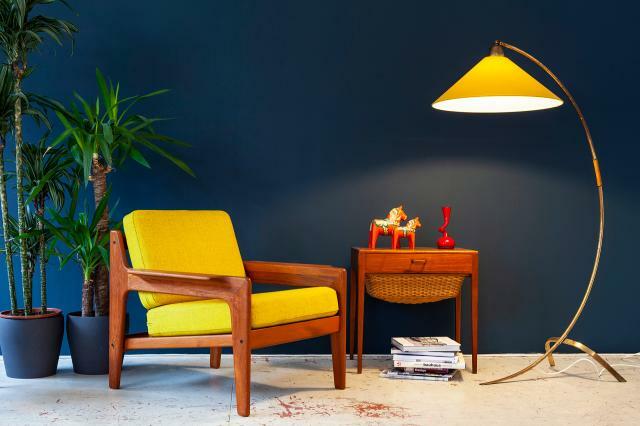 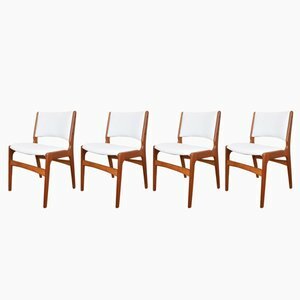 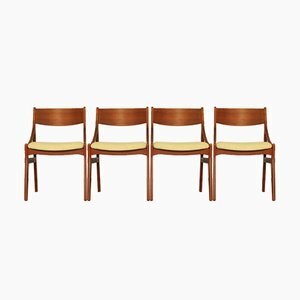 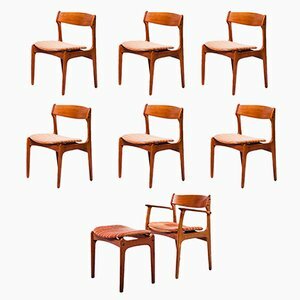 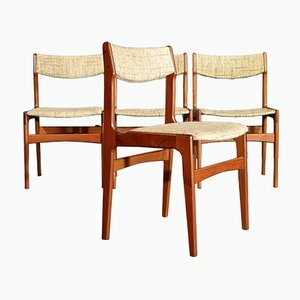 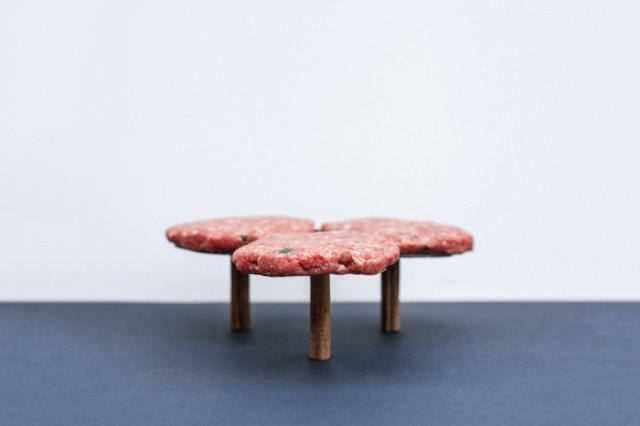 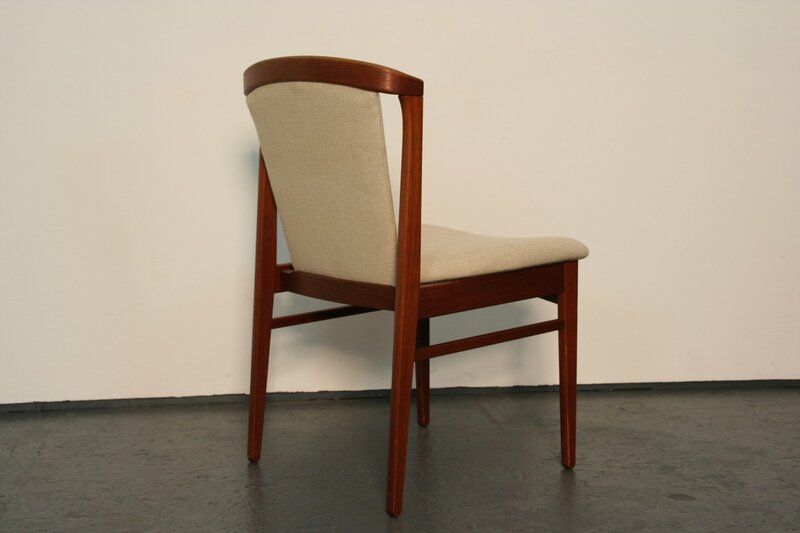 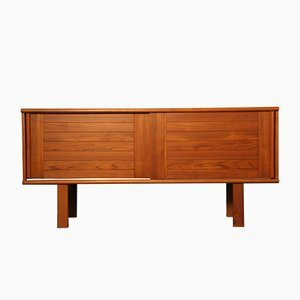 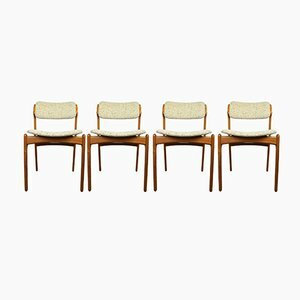 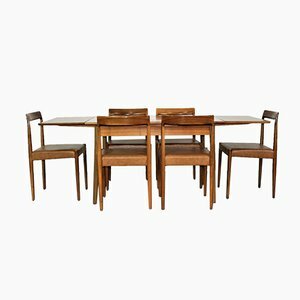 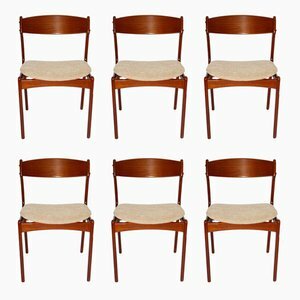 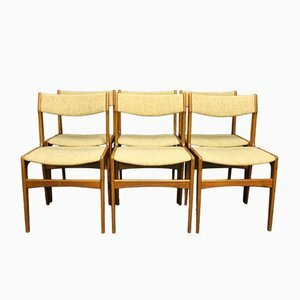 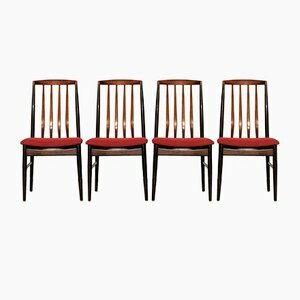 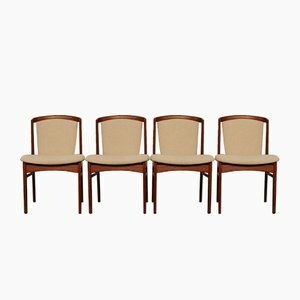 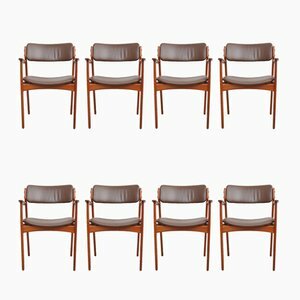 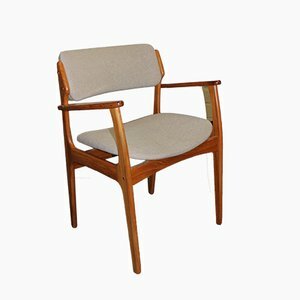 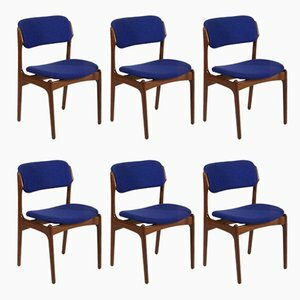 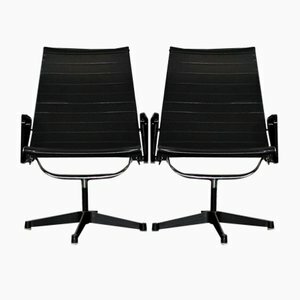 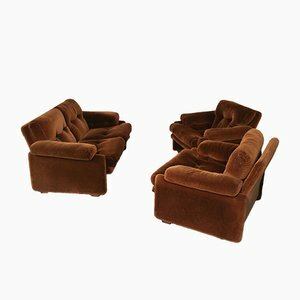 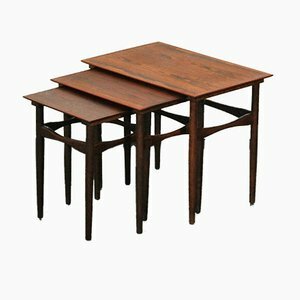 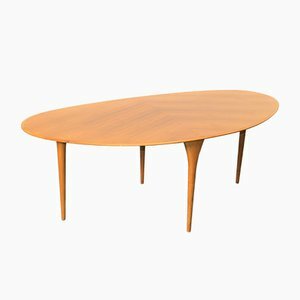 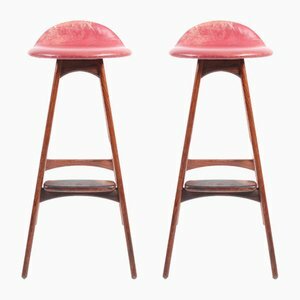 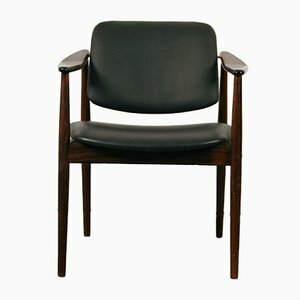 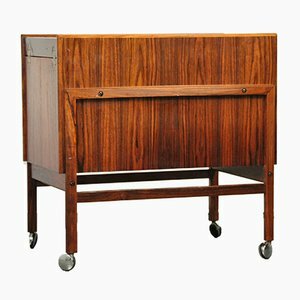 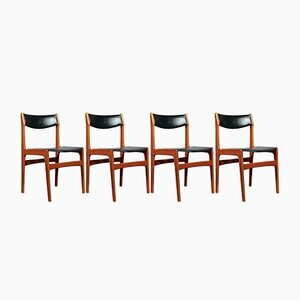 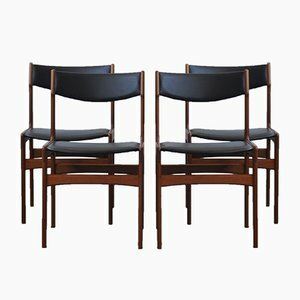 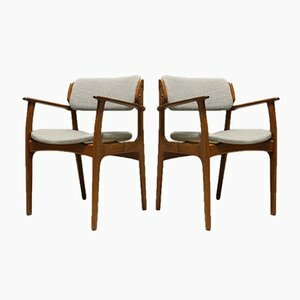 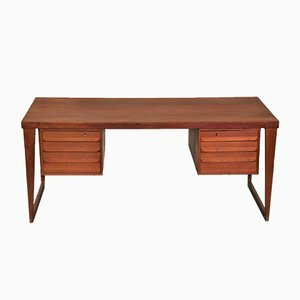 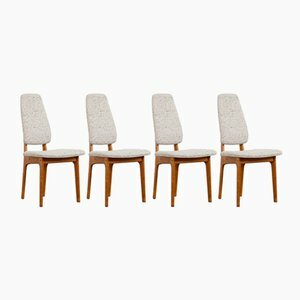 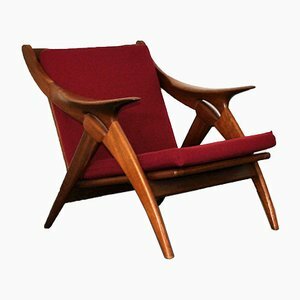 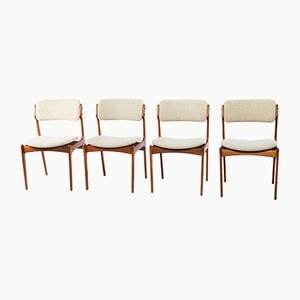 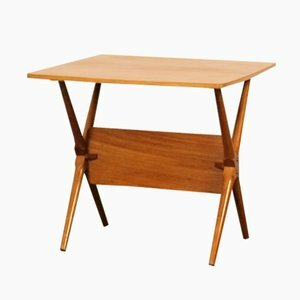 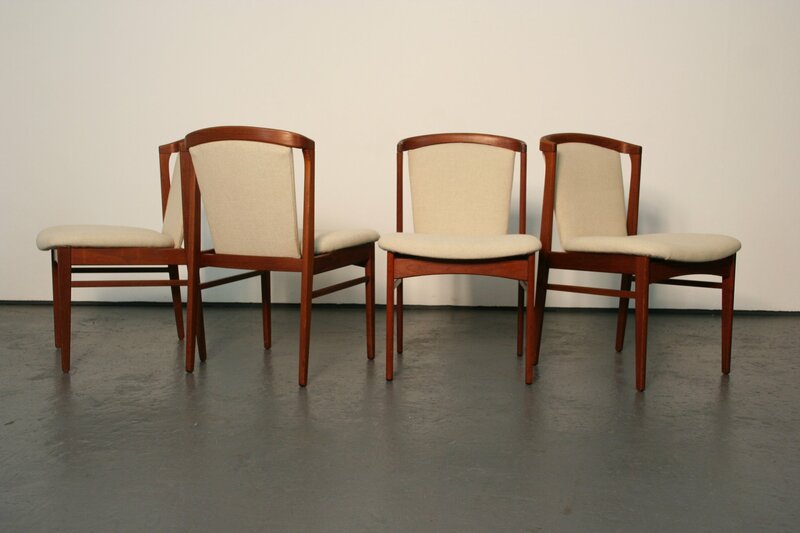 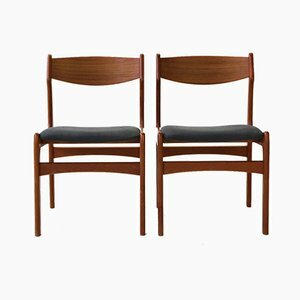 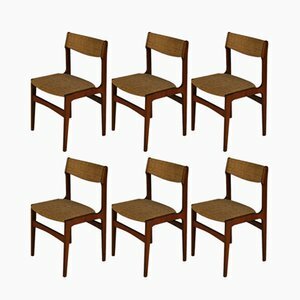 A set of two teak dining chairs designed by Erik Buch for Christensens Møbelfabrik, Vamdrup. 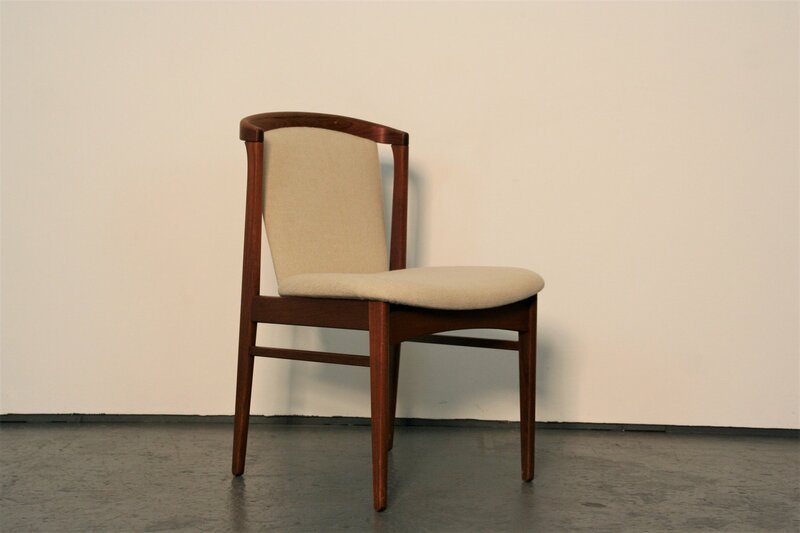 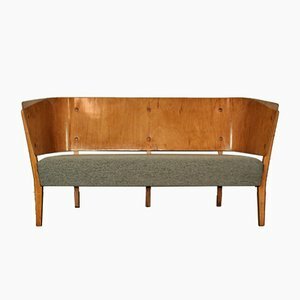 Four-legged teak frame construction, padded back and seat, with new cover melted in beige. 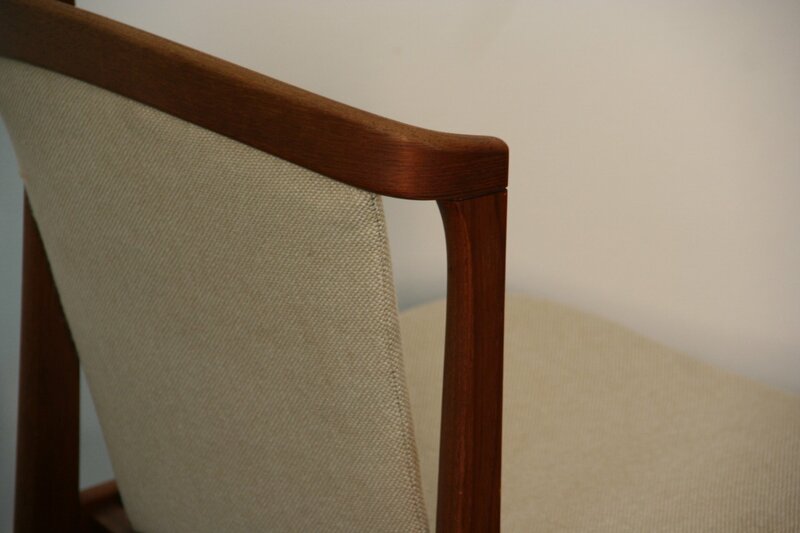 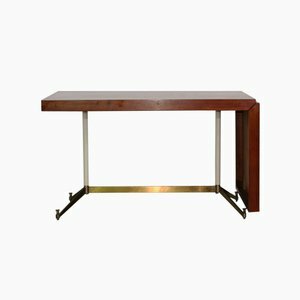 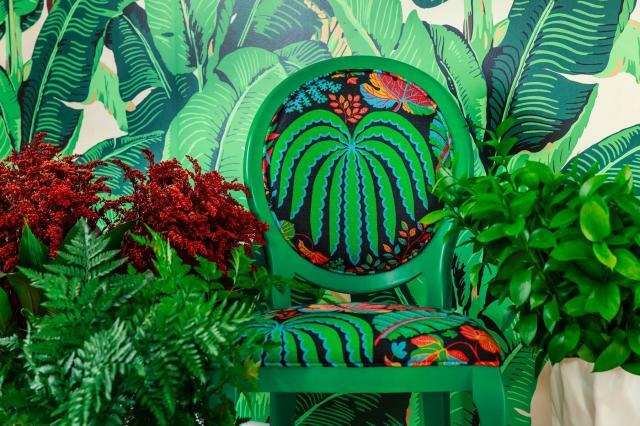 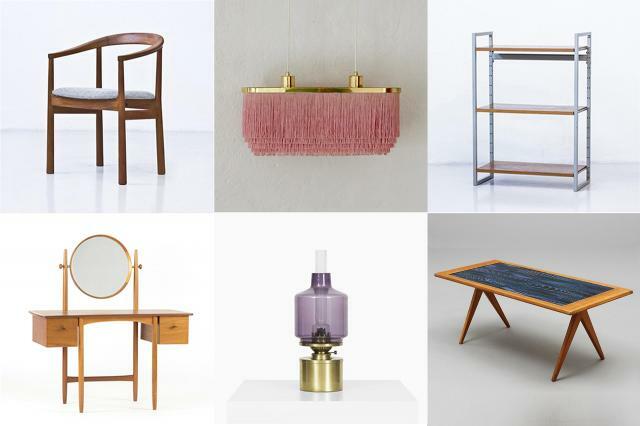 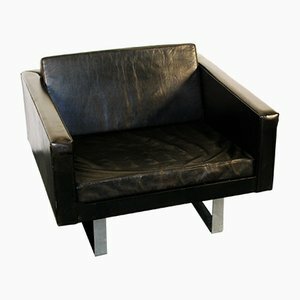 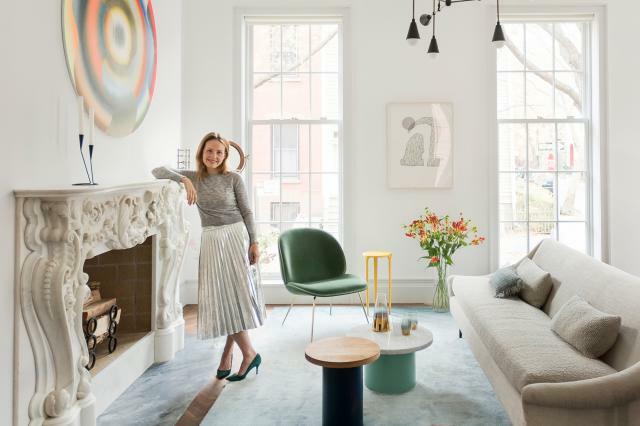 Inclined backrest. 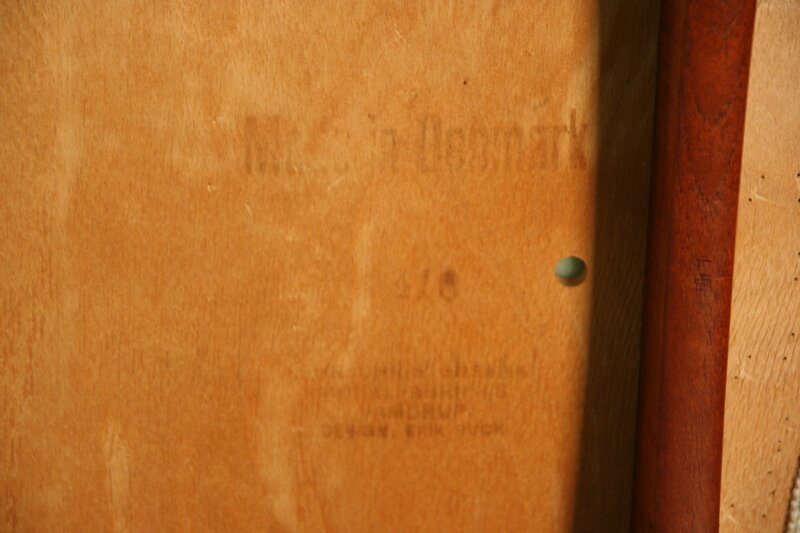 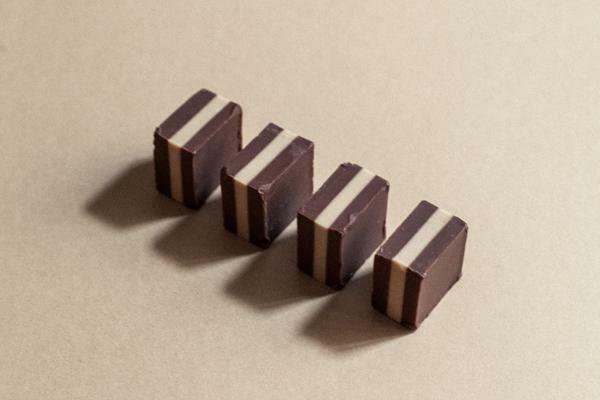 Slight traces of use.